It’s a quieter day than usual at the end of my teaching week. It is testing time for students so they are busily (or at least somewhat busily) spending today in a sea of tests. I will meet with my class later today for a 50 minute rendezvous with an end of the quarter English exam. Life in Chiang Mai continues to be good. 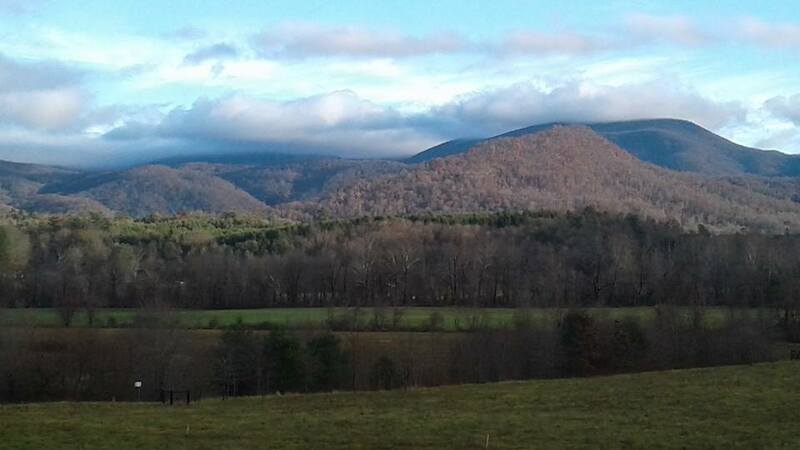 Often I enjoy simply being here in the cornucopia of sights, sounds and new experiences. 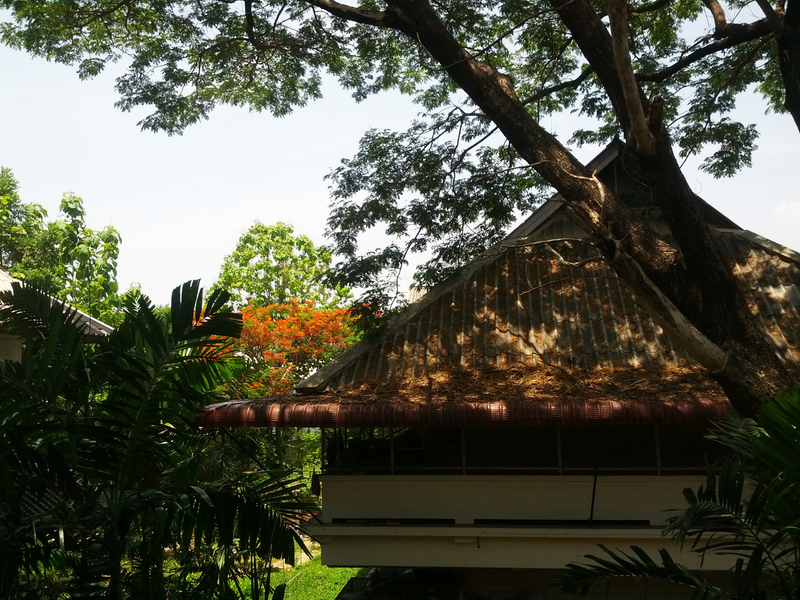 Amidst the sometimes frenzy of activity at school and in Chiang Mai, I also do my best to find some quiet and slow time, a mainstay for me no matter where I am in the world. Let me tell you a little bit more about the students I teach and my days teaching in Chiang Mai. Many of the classes I teach I assist Thai teachers with their regular English classes. Packed with 40 to 50 moderately interested students, I visit them twice a week to work with them on speaking and listening skills. With a slew of young students, I do my best to stay on my toes and keep them engaged, often turning the lesson of the week into a game or activity. While I have my rewarding days and moments in these classes, it can also be a challenge to teach a large group of students, some of whom would rather be talking with their friends and likely don’t understand what I am saying. But more often than not, the student’s sweet faces and enthusiastic screams of “Teacher Teresa” from across campus make up for the challenges of the day. I also teach a more focused English class where I am the main teacher and we meet five days a week. These classes are smaller and, gratefully, air-conditioned. This is my first experience being more of a traditional classroom teacher tending to things like homework, grades and exams. 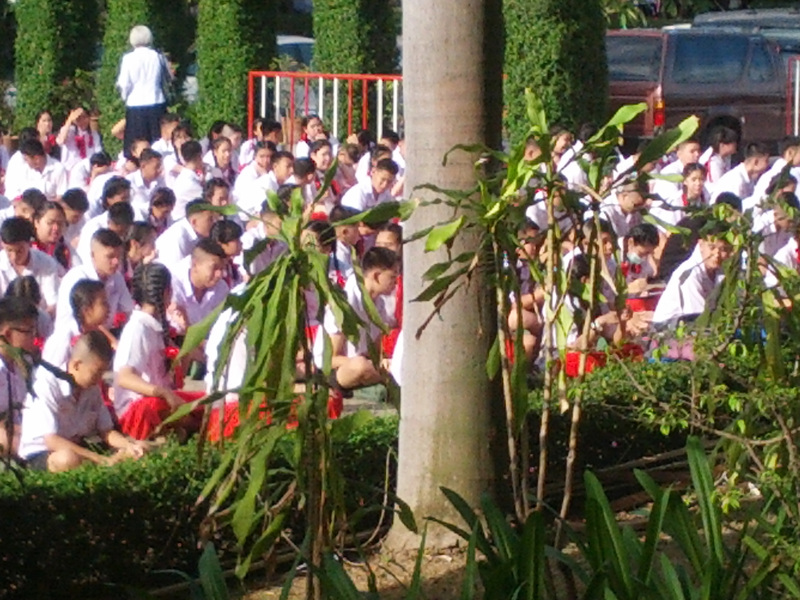 School life is different here in Thailand. While my class is filled with good kids, it seems there is a more laid back and playful attitude towards school here. At the end of the day, I just to my best to be of service to them and also go with the flow of the priorities of local culture. Recently a friend made his way through Chiang Mai and we had the opportunity to connect and explore a bit of the city. One of the highlights of the time was a visit to an elephant sanctuary. In theory an elephant sanctuary is a place where elephants who have been abandoned or abused can go as a place of refuge. I am told there is a history of elephants being given as gifts in Southeast Asia which has in part contributed to the neglected elephant population. While you can find many places to see elephants in Thailand, not all of them are created equal. We elected to go someplace that treated them a bit more humanely and let them, within the confines of captivity, mostly be themselves as elephants… no brutal training or special “tricks”. For the most part I found the park we visited to be a humane and descent establishment with just one or two things said that slightly raised my eyebrows. And what an unexpected opportunity – to be close to, connect with and ride an elephant. It was a bit of a surreal experience… first seeing them and feeding them and then in no time at all being quickly shown and invited to hop on to give it a try. We spent a modest day there and it was the perfect balance of relaxation and engagement with the elephants. After we fed and learned to ride we took a lunch break. Next, the highlight of the day, we were taken to “meet our elephants,” climb aboard and take a few spins around the grounds. My friend and I “shared” an elephant, as did the other guests on our mini-elephant trek. We took turns with one person riding on the neck and the other on the back. Our elephant’s name was Mee-nah. She was a big beautiful elephant with a great temperament. Without hesitation, she steadfastly made way with her large body through the wooded terrain, up a few hills. At the end of the trek the elephants were led by their keepers into the water for a little refreshment. And next we were invited to join them, given brushes and buckets to do a little bathing. My first thought, as any good American girl might think was “what is in that water… and is it safe to get in there?” But after a good minute or two of hesitation… I just got over it and jumped in the water to join in the fun. At the end of our journey we enjoyed checking out the many pictures they took along the way plus a refreshing lounge in their “hammock garden.” Here are a few pics from the day. And now, back to the land of teaching. I am tucked away in my room on campus preparing for my early afternoon test. I can hear the lunch time screams of the neighboring kindergarden building. I am finding myself happy for a quieter Friday and the weekend ahead. I began my journey before dawn. As I walked in the dark early morning sky to the entrance of campus, I was relieved to arrive at the gate and find my chariot awaiting. There she was, a local and reliable tuk tuk driver, ready and waiting to take me to the airport. Just a few days earlier I had scheduled my ride for the journey, not quite certain if the message was successfully received in the confusion of speaking English to a Thai ear. “Monday?”….. “No, SUNday….” But there she was. I was heading to Vientiane, Laos to handle some visa business. It is funny how just a few months earlier from the more refined land of Vienna, Austria, a Thai visa run to a bordering town seemed like perhaps a shady endeavor. After simmering just a few months in the local culture, now more at ease in the land of tuk tuks and unexpected power outages, a visa run to Laos seems like a perfectly reasonable idea. My route was the well-weathered path of countless travellers before me. I took a flight to the Thailand border town called Udon Thani. From there I took a van to the Thailand/Laos border. After $30 USD, a Laos Visa on arrival, and a quick bus ride across the “Friendship Bridge”, I found myself for the first time in Laos. Upon arrival, I was greeted by a seasoned array of tuk tuk drivers waiting for their regular meal of travellers making their pilgrimage to the Thai Consulate in Vientiane, Laos. I was fortunate to meet a respectable and fair driver who took me and a fellow traveler from New Zealand to the center of town for a modest rate. His coach was like a miniature truck with passenger space in the back. We traveled down the right side of the road, a switch after the left-sided ways of Thailand. We drove exposed to the heat, the wind and dust whipping through my body. In no time, we were deposited along the riverside in Laos. 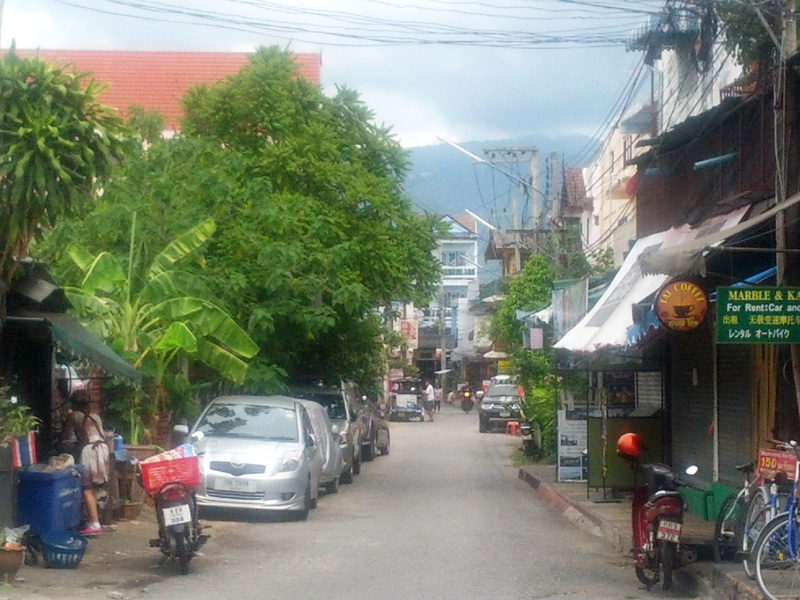 It didn’t take long to get my bearings in this small unassuming little Laos town filled with fellow travellers passing time in town. I quickly drank up the feel of the city noticing it’s collection of French cafés and inviting assortment of local restaurants. I made my way to my hotel, just a stones throw from the riverfront and in the heart of the tourist and “foreigner-friendly” part of town. I treated myself to a comfy stay at the Ibis hotel in Vientiane. I felt just a little spoiled in my easy modern room with its heavenly bed and pillows that melted away the tensions of traveling. While Vientiane is a sleepy little town, I was still charmed by it’s local people and red carpet of expat friendly eateries and restaurants. It was fun to spend a few days exploring the restaurant landscape and enjoying a few happy, healthy and affordable meals in town. I first made my way to Jahmil’s Indian food for dinner. Tucked away down a little alley and modest and informal in it’s ways, I was a bit hesitant upon my arrival. I walked in feeling like I was walking into someone’s living room wondering if it was indeed okay to come in. My dining company for the evening was a fellow expat, from Canada, and in the early dining hours the only other only guest in the restaurant. We made our way through casual conversation and satisfying curry. A screamingly affordable bill later, I was full and happy and on my way into the steamy Loas evening. The next morning was an early departure to the Thai consular’s office. I arrived there joined by three of my fellow teachers also on the journey as well as a substantial collection of others waiting in line. Time passed quickly and soon we were happily receiving our numbers and successfully submitting our paperwork. We were outa there around 10am. Hooray! The rest of the day included restaurants to explore and some heat to escape. 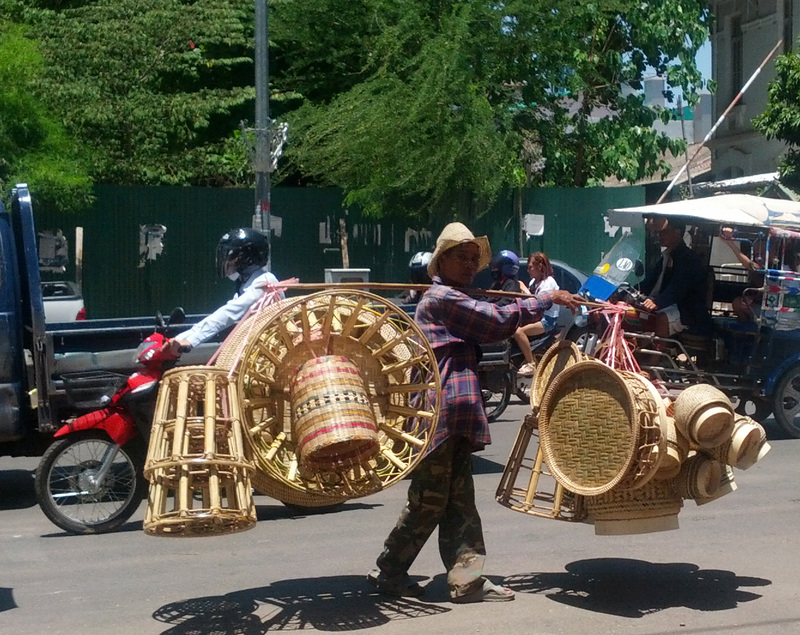 Vientiane was holding strong with it’s hot season temperatures, even more so than Chiang Mai. I appreciated the cool respite of my hotel and the occasional HBO film, a decadent “western” treat. That night I made my way to a great little eatery called Lao Kitchen. Its open-air eating space welcomed me in, but offered no protection from the heat of the day. I was grateful for the competent English of my waitress as I did my best to explain that I cannot eat refined sugar. This request is a bit daunting in Asia. I am asking that not only sugar is left out, but also fish sauce, soy sauce and any other places where sugar can sneakily hide. As I placed my order she looked at me a bit peculiarly, but did an outstanding job of passing my request along to the kitchen. Amazingly, after I asked to leave pretty much everything out of the red curry stir fry I ordered, what I received was a fresh flavorful dish all for the equivalent of less than $4 USD. That night I visited the nightly outdoor market gathering along the curve of the mighty Mekong river. 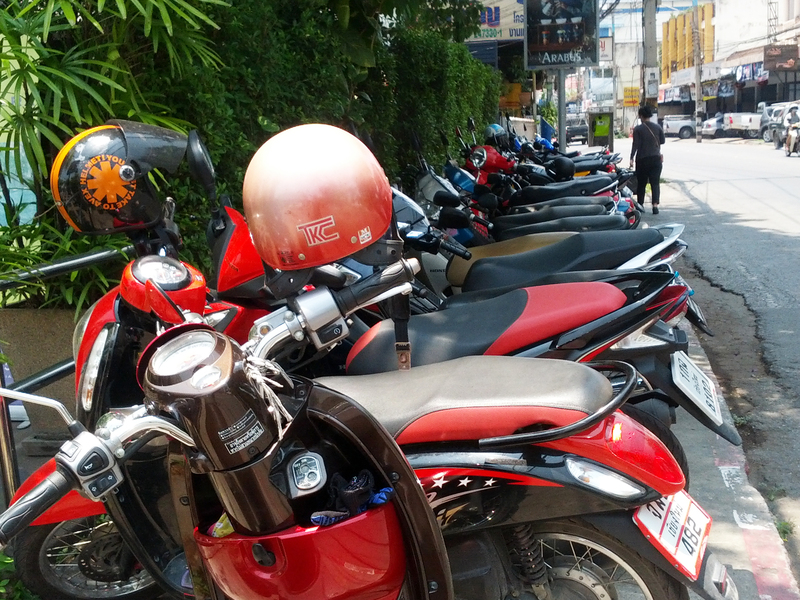 Surrounded by a sea of motorbikes and locals shopping for goods and having fun, I appreciated taking in the wide array of clothes, paintings, and local knickknacks. Shortly after I arrived so did the rain. Slowly at first. I took the lead of the locals who literally fled the outdoor market scene with the arrival of the first raindrops. I followed the crowd and literally ran out of there not making it to my hotel before the downpour came. What a joy it was to appreciate the simple culinary pleasures while handling a little business along the way. Breakfast was next …… I arrived an early bird at Noy’s Fruit Heaven and had my selection of tables as I sat and took in the quiet Vientiane morning. I had to smile when a young Loas boy adjusted the fan near-by so that it would blow in my direction while shooting a smile my way. I appreciated his sweet sensibilities to tend to my needs. Breakfast was simple but great. A vegetable omelette with a generous portion of watermelon on the side. I took in the morning and the meal appreciating my modest feast. I was surrounded by the daily business of the local family owning and running the business. The grandmother, sneaking in a nap before tending to business and practicing her English. The young boy sheepishly offering me a hello and a few practiced words in English. Early that afternoon I connected with my fellow teachers and we made our way for the last legs of our journey. We found easy success at the consulate’s office. Within the hour we picked up our passports newly decorated and ready to go. Afterwards, we used our developing negotiating skills to secure a decent rate for the journey across the border. For the first leg of our way, we found room for all four of us in a nice Honda sedan, a real luxury and unexpected coach. Once we arrived at the border we were connected with a mini-van driver who took us the rest of the way to the airport. We sat in the mini-van for ten filled with expats of all shapes and sizes telling their stories and making their complaints along the way. 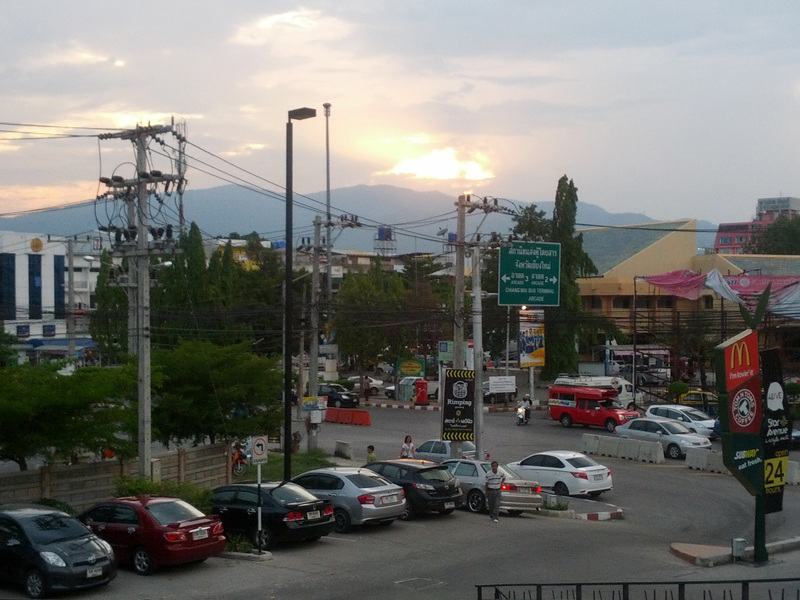 And in no time at all I was home… or in Chiang Mai… or perhaps a little bit one and the same. I was grateful to return to my comfy little room on the quiet grounds of the school campus. After a somewhat descent night sleep, I awoke on Wednesday morning birthed back into the world of teaching and classrooms bursting with students, a bit of a shock after my brief Vientiane diversion. And so life continues. A little more settled. A little more adjusted to the somewhat wacky ways of teaching and life in Chiang Mai. Still easing into the heat. Grateful for the relief of intermittent air-conditioning and brief Vientiane diversions. Well, it’s been quite a transformation…. switching from the cooler temperatures and refined structures of Vienna to the infernal heat and wild, wild world of Chiang Mai. The land of goulash and mass public transportation has given way to the world of fresh mangos and scooter rides for three. I am slowly and happily assimilating here to my teaching job and tiny budding life in Chiang Mai. I am starting to grow accustomed to the wild nature of this city affectionately called by my new boss “a hot mess.” My new and developing cultural affinity did not come without a few bucks and snarls. But after a few days my mind, body and being started to settle down and began to be with that which I am coming to know… is Thailand. In Thailand, I have a resident gecko in my room. I think he lives in my air conditioning. He mostly shows his face when I have just arrived home… startled by the unexpected visitor. Geckos are my friend I am told because they eat many of the other creatures that you really don’t want in your room. After just over a week I am starting to relax as they scamper the walls and hallways of the residence where I live. I have heard stories of folks living in areas surrounding Chiang Mai encountering an 8 foot long snake and getting bit by a scorpion. I have been told of the village cobra catcher and couldn’t help but notice the snake repellant for sale at my local grocer. I have always considered myself a nature girl, but alas, I am reconsidering my claim. 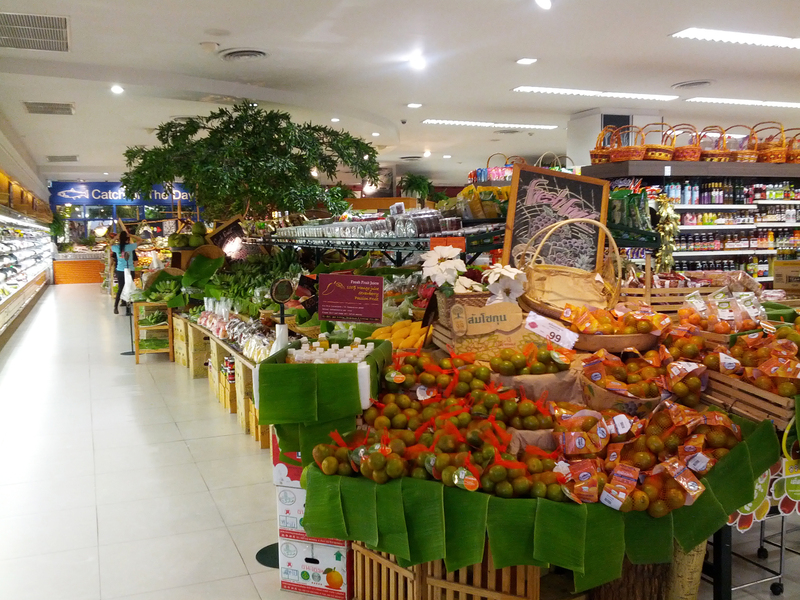 Amidst the wildness of Chiang Mai, I am comforted by the civility of its “western” creature comforts like Rimping, a quality grocery store chain where I have found organic products, unsweetened peanut butter and familiar brands including Amy’s and Bragg’s. After a successful shop, I was innocently exhilarated by my ride home through the narrow back streets of the city courtesy of a local tuk tuk driver. At work we are preparing for our students who will arrive next week. Our “modest” campus of 8,000 students will soon be flooded with new faces and energy. In Thailand the school year begins in May, and so as many teachers, parents and students around the world are coasting into summer we are just beginning. So far I am content in my new “home” on campus, a mostly quiet haven so far aside from the symphony of squawking birds and assorted insects that crescendos at sunrise and sunset as well as the neighboring band (I think perhaps church related…) that likes to start their celebration at 8:30am on Sundays. For tonight all is well. My eyes still grow sleepy a bit early as the adjustment, heat and work week are still making a claim on my energy. Friday has come with the blink of an eye and soon it will be the weekend and then the first day of school. While I feel good about being here and the job ahead, I must admit I still have the first day of school jitters. As night comes fully here, the only sound I hear is the quiet purring of my air conditioner, a much appreciated companion as it whirrs in a gentle 28 degrees C (82 degrees F)… a notable break from the balmy 35 degrees C (95 degrees F) outside my window. Even so, my body has a natural bend for the heat and heaves a sigh of relief being greeted by its thick tropical ways. Good night for now as I find myself amazingly and surprisingly beginning yet another international chapter… in Chiang Mai, Thailand.